Top Rated Acupuncture in Encinitas, Poway, and Escondido. Experienced Chiropractors & Acupuncture in Encinitas, Poway, and Escondido. Highly skilled Natural Medical Doctors. We believe in a mix of eastern and western medicine offering our clients holistic solutions that don’t just treat symptoms but put an end to many chronic conditions. We offer some of the best practitioners of chiropractic and acupuncture in Encinitas delivering time-tested methods that treat a wide range of diseases that are often misdiagnosed or completely overlooked by western medicine. 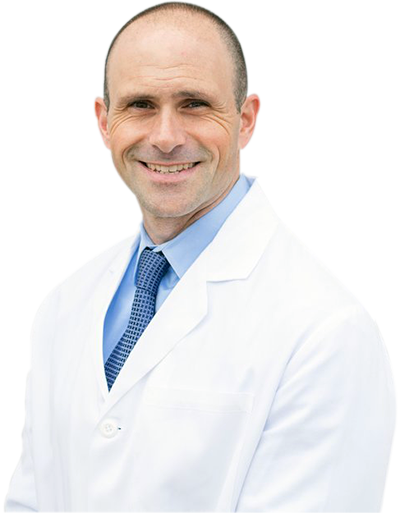 ActiveMed Integrative Health Center has alternative treatment centers serving Encinitas, Poway, and Escondido in San Diego North County, and is dedicated to treating patients holistically using a range of natural and alternative procedures. Our practice accepts insurance for patients. In order to best serve you, we can verify your insurance benefits before you arrive. Please click on the link below and complete the online form. We will contact you as soon as the benefits are established. At ActiveMed we are committed to bringing healthcare back to its original standards of care. We put the patient and their health concerns first while obeying our standard to practice natural medicine. Acupuncture involves the placement of hair thin needles into certain sensory acupuncture points of your body to help reduce pain and increase healing. We’ve been practicing acupuncture in Encinitas Poway, and Escondido for two decades. You’re in good hands. We pair a combination of treatment regiments specific to each patient and their needs. We do not believe in treating problems that do not exist but aiding in the advancement of overall health as a top priority. As the trusted natural medicine center in San Diego County, CA, ActiveMed Health Center’s mission is to provide the highest quality of care by offering a complementary alternative to mainstream Medicine. We believe that the best medical care comes from blending effective proven Medical treatments with evidence based traditional alternative therapies such as Acupuncture and Platelet Rich Plasma Therapy. ActiveMed Integrative Health Center is dedicated to providing exceptional Natural Medical services to assist you with your health and wellness goals. We believe that by shifting the traditional disease-centered focus of medical practice to a more patient-centered approach, we can address the whole person, not just a set of unhealthy symptoms. We maintain a natural, effective and less invasive form of care by utilizing knowledge of the ancients and blending it with modern technologies to deliver truly Holistic Medical care. Come receive world-class care all under one roof, and make lifelong friendships at ActiveMed Integrative Health Center. Led by Matt Alavi, L.Ac., Dipl. OM, our health and wellness clinics in Encinitas, Poway, and Escondido have multidisciplinary teams that represent years of clinical expertise and experience in alternative medicine. We have doctors, chiropractors, acupuncturists, massage therapists, and more. Many of our therapies have been proven effective and have been used for thousands of years. Treatments such as Acupuncture, Traditional Chinese Medicine, Naturopathy, Chiropractic and Herbal Medicine are just a few of those proven methodologies. Our comfortable facility and relaxing environment will also aid in building your health right from the cellular level. Come receive world-class care all under one roof, and make lifelong friendships at ActiveMed Integrative Health Center. We offer comprehensive treatment plans that are made specific to your needs; these plans utilize an optimal combination of our therapies. We carefully factor in the nature of your pain, disorder, or disease, as well as your age and overall condition. The team at ActiveMed brings an old but much needed mentality back into healthcare, which is the patient comes first. We are not just here to treat patients, we also take the time to get to know our patients. We believe healthcare does not stop with the physical but it is also an emotional connection between provider and patient.